French 17th-century calf, gold tooled, two clasps; restored. Gift of Julia Parker Wightman, April, 1993. Julia Parker Wightman; given in April, 1993. 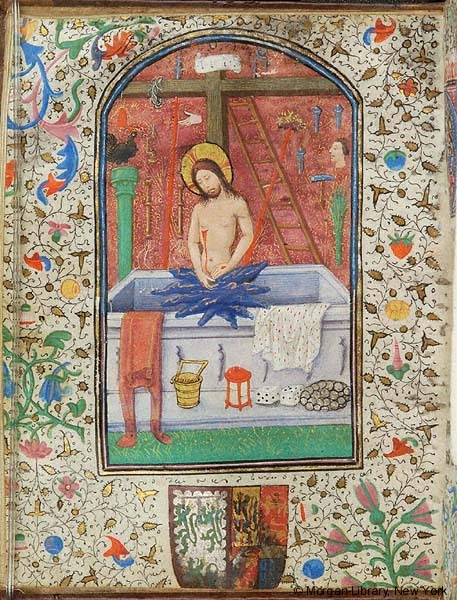 Ms. book of hours, use of Rome (Hours of the Virgin), calendar for Bruges; written and illuminated in Bruges, Belgium, ca. 1440. Decoration: 31 full-page miniatures with illuminated borders, and corresponding illuminated borders on facing pages.